Guard against malicious attacks with security suites and anti-virus software from the industry’s most trusted names, such as McAfee, Symantec and Sophos. Web security software often acts as a first line of defense for your network. Keep your end users safe with software that enables secure browsing. Protect your network from outside threats with robust firewall software from leading brands such as Check Point, Sophos and Palo Alto. Not sure what security license you need? Not sure what security software you need? Security Software. Orchestrated by CDW. In today's digital world, hackers are always trying to infiltrate businesses and steal data, whether it is credit card information or company trade secrets. Your business's number one priority is ensuring that no unauthorized persons can access company information. At the very base level, your business needs to protect itself with network access control software. Limit the number of people that have access to every single piece of data in your company. From there, institute firewall protection to protect against outside threats. Another potential source of a security breach is employees, and those breaches are often unintentional with no malice. That's why CDW offers anti-virus software from McAfee and Symantec to guard against attacks that employees might accidentally invite by clicking on a phishing email or traveling to the wrong website. It's hard to decide between types of software. 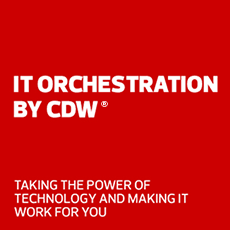 CDW is here to help. 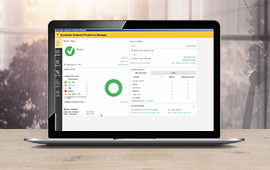 Offering software from trusted brands such as Check Point, Sophos and Symantec, CDW sets you up with what your business requires. Oversee all aspects of your software licenses with software asset management solutions or ask software licensing questions.